Currently considered as one of the best private universities in Cyprus, Neapolis University is a young yet dynamic, fast-growing university operating since 2010 in Paphos, on the west coast of the island, offering undergraduate, graduate and PhD programs in both Greek and English. 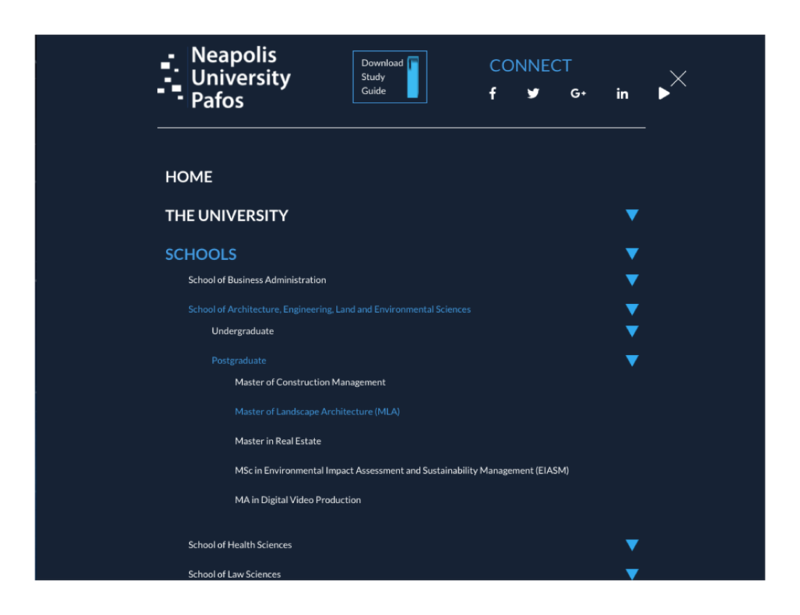 Neapolis University, asked us back in 2014, to proceed with the creation of their brand new fully responsive website! We were honoured! Our collaboration through the years has been first class and always enjoy facing together new technological challenges. Furthermore, 4 years later, we were asked to proceed with a website facelift to freshen up its look and feel, make its navigation more intuitive as well as make sure that the website ‘sits’ properly on all device screen sizes. As always, we wish all the best to the Neapolis University and thank them for their continuous trust.